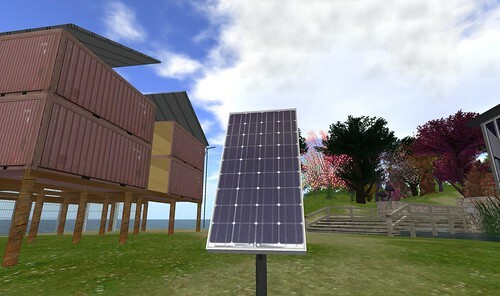 I am delighted to report that the Virtual Classroom Project that I started last year on the island of jokaydia in Second Life is back in full swing. An Australian educator, Annabel Astbury, has been selected to be Educator-in-Residence on jokaydia until the end of February. Her residency was launched on February 1st at the jokaydia mini Unconference (you can download the audio recording of the sessions here). Annabel (SL: Annabel Recreant) has been busy creating a very unique project. As a teacher of history, she is interested in creating a virtual learning space where visitors can learn about "settlement / colonisation in the south east of Australia." Specifically, she is interested in creating a space where students can explore and experience "the impact that colonisation had upon indigenous communities in Australia." My idea is that when someone first visited the site they would be faced with a simulation of the Australian bush as it appeared pre settlement. Uncleared. Perhaps with evidence of Indigenous inhabitants. Features of the natural landscape. Visitors may have read documents in class (hence the working with not around) or read some of the documents provided in another part of the space regarding elements of Frontier life such as the process of settling on a new land, difficulties faced, the ways these were solved (if at all) etc. Once armed with some of this foreknowledge, visitors would be invited to clear the land themselves taking into account the topography, geography and physical elements of the landscape. Provided with a ‘box’ visitors would be invited to build their own hut, or settlement. [...] I think I became a little disengaged at the end of last year with Second Life ... because I had reached a ‘now what?’ stage. Having been part of the community of learners on the Islands of Jokaydia was great, but personally I felt I had plateaued in what I could offer or do. More than that I think I started to find it difficult to see the other uses of Second Life other than that main one of being connected to a network of great teachers. [...] what I began to obsess over was this: if anyone came to my plot .. why would they? Why would they come into Second Life merely to click on a few urls that would take them to the internet? To me, that wasn;t a good use of the platform. To me, the problem Annabel describes here has always been a major weakness of how Second Life is used in education. It is often a place where artifacts are built for visitors and where mere reproductions of real-life lecture halls are quite common. 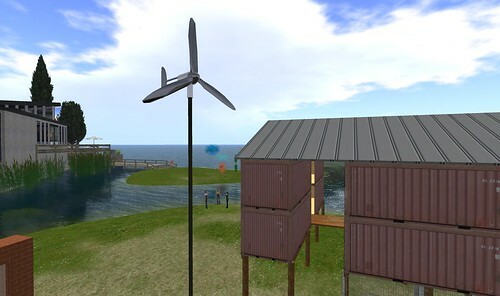 Annabel wants to use Second Life as a place where students can build their own understanding while (virtually) building a homestead and clearing the land. She wants to engage visitors by providing them with primary and secondary sources that will then enable them to make well-informed decisions as virtual settlers. Her virtual classroom will never really be finished - it will be more of an empty canvas where visitors can construct their vision of early settler life. Annabel envisions this project as an opportunity to show other educators how students can be encouraged to use virtual environments such as Second Life to build their own understanding of history so that it becomes visible to anyone who visits the virtual space. This is not going to be just about building a virtual space where students can click on some URLs and read secondary sources. Annabel wants to develop a virtual resource to engage students in Historical Thinking by providing them with resources they can consult and artifacts they can use to build their own understanding of history. It’s almost like creating a virtual world wiki where instead of being confronted with a carefully designed space, a student is given access to a variety of resources and tools to build that space and, in the process, demonstrate his or her understanding of the material. The wonderful part about this is that this process will make learning visible in 3D. A student who builds with the resources provided in this virtual space and by using her own understanding of the time period will create an artifact that other learners can explore, interact with, and also rebuild or redesign. I hope that you will follow Annabel's work by reading her blog, checking out the Virtual Classroom Project Flickr group, and exploring her work inworld. In August I traveled to Kenya with Teachers Without Borders - Canada. We delivered teacher professional development workshops to elementary and secondary teachers in a rural region, located about eighty kilometres outside of Nairobi. When I returned, I started looking for a creative outlet to reflect on my experiences. I wrote about my experiences on this blog, but merely writing about them didn't seem sufficient. So, I started sifting through almost 3000 photographs that I took while in Kenya and it occurred to me that they tell a story that is much more powerful than anything I could ever hope to convey in a blog post. 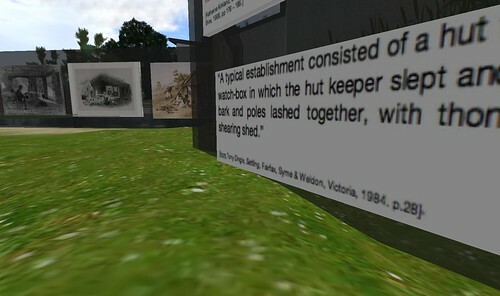 The next day, I started building a virtual exhibit in Second Life. But in the process of building this exhibit, I also realized that it could be so much more than just a virtual gallery - it could become a learning environment, a place that anyone interested in education in Kenya could visit and explore. 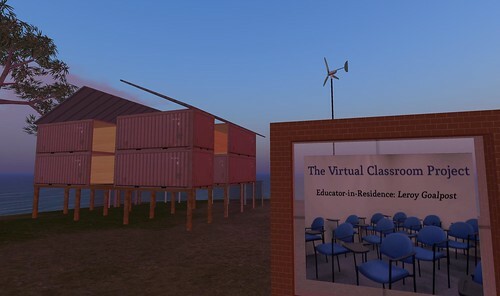 So, the initial virtual gallery idea quickly morphed into "unfinished ..." - a project to build a virtual Kenyan classroom, a typical classroom in a typical rural school in Kenya. Of course, some will say that I didn't have to use Second Life, that a blog entry, a Flickr set, or a PowerPoint presentation (or maybe all of them combined) would have been just as effective. That's why, before I began, I asked myself: What can I do in Second Life that I cannot do on the world wide web? Why do I need a multiuser virtual environment? I wanted the visitors to be able to experience, even if only virtually, what it is like to stand in a typical rural Kenyan classroom. 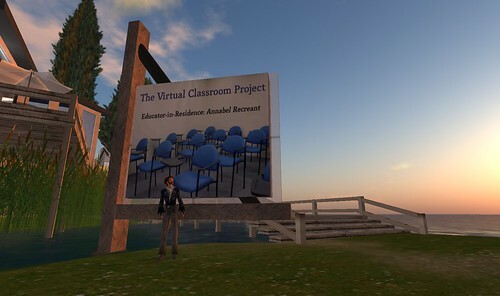 I can’t do that on my blog, but in Second Life I can create that classroom. I can try to re-create that environment. Of course, as a visitor to my classroom exhibit in Second Life, you won’t feel the fine Kenyan dust on the floor - the kind of dust that penetrates into everything in Kenya. You won’t be able to interact with Kenyan students or look through their notebooks. I cannot create tactile experiences in Second Life. What I can do, however, is create a visual experience that is very close to what I saw in Kenya. I can create a replica of a typical classroom and then use it as the setting for tours, presentations, or conversations about education in Kenya. I can create a virtual environment that provides a meaningful context for discussions about education in developing nations. 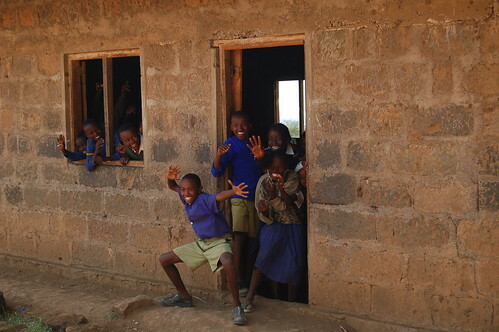 That environment wouldn't be complete without photographs of children and school life that I took while in Kenya. You will find them scattered around the exhibit. You will see photographs of children and classrooms leaning against a virtual fence or the classroom wall. Again, an argument could be made that all those pictures could have been shared on Flickr. True. I did share them on flickr, but as soon as I uploaded them I realized that they didn't fully represent my experiences, that individual photographs, when placed against the white backdrop of a flickr photo page, lose their richness and become just another snapshot. In Second Life, however, I can create an environment for them, a context that will help the visitor see them as part of a larger story. When building this virtual space, I tried to make the environment as reminiscent of the actual schools in Kenya as possible. Many of the textures I used for walls or corrugated iron panels were extracted from my own photographs of Kenyan schools and imported into Second Life. Before I built the desks for the virtual classroom, I scrutinized the pictures I took of student desks in Kenyan classrooms. Before building the classroom itself, I carefully analyzed my pictures of rural schools in Kenya. I chose this title because when I first walked into a classroom in rural Kenya, everything around me seemed ... unfinished - the bare walls and gaping holes instead of windows all contributed to that impression. It seemed that the classrooms were still under construction. Of course, the sad truth is that the classrooms I visited were all finished - there simply isn’t enough money at many of the schools in Kenya to put in windows or buy new desks. There simply isn’t enough money to put plaster on the walls, buy bulletin boards, or put up posters. 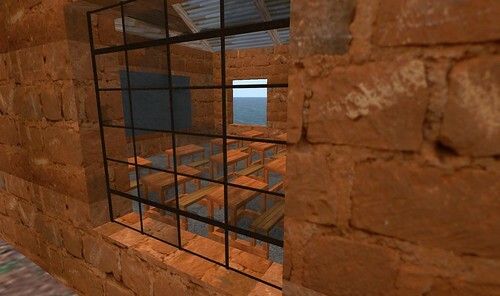 Not every classroom in Kenya looks like the one I created in Second Life. Some schools are better equipped than others. Some classrooms have windows and plaster on walls instead of bare bricks. Some have new desks. Many have electricity. 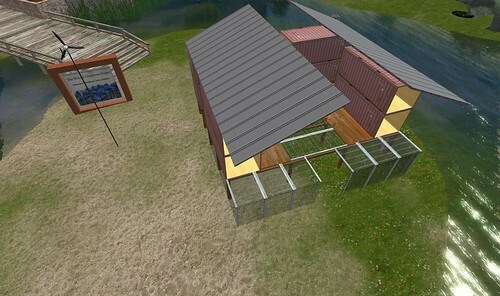 The classroom I built in Second Life, however, is not atypical of rural classrooms in Kenya. It represents rural schools and the country itself quite well. In Kenya, many things, including roads, schools, buildings, and public services, seem ... unfinished. The work that Teachers Without Borders - Canada has begun in Kenya is also unfinished. We had initiated great projects, worked with many teachers, and established valuable contacts with ministry officials and other NGOs. We look at these accomplishments as work in progress and an opportunity to continue to move towards our goals. One of those goals - and my goal for this virtual exhibit - is to raise awareness of some of the challenges faced by teachers, students, and administrators in developing nations. I hope that you will take the time to walk through the exhibit and experience school life in a rural Kenyan classroom. 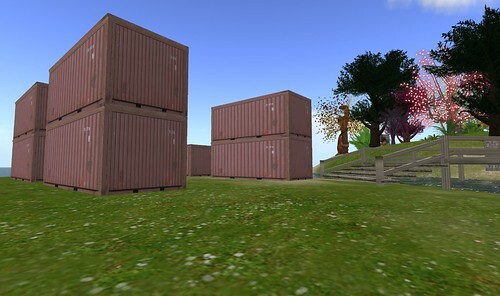 The following link will take you into Second Life, to the island of jokaydia where the project is hosted: (SLurl to the Virtual Kenya Exhibit). If you like what you see and would like to bring your students or colleagues into this space, or learn more about education in Kenya or the work of Teachers Without Borders - Canada, please feel free to contact me. I've given a number of tours already and would be happy to chat about the space or help you build a lesson around this virtual exhibit.